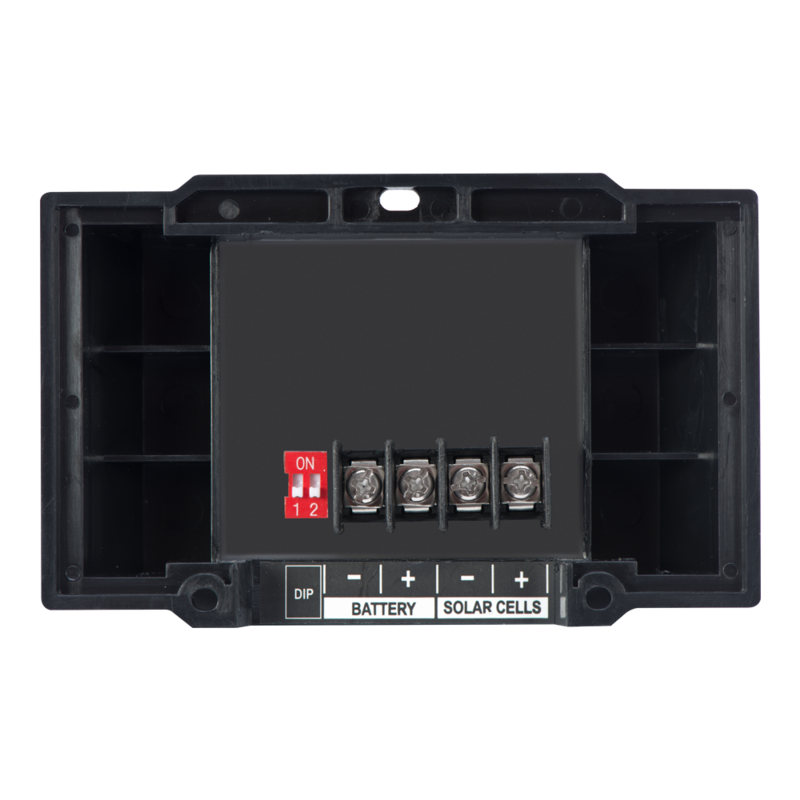 Used in our 45-watt, 90-Watt Long portable kit and our solar maintainers, our smallest charge controller is compatible with gel, AGM, conventional lead-acid (wet), and calcium 12-volt batteries. It can manage up to 135 watts and 8 amps. This weather resistant charge controller has three LED lights that let you monitor charging status, battery condition, and any system faults.